Audubon Balance Weave.... economical, true running. Consists of alternating right and left hand spirals that do not interconnect with each other. They are joined by a crimped rod which holds each spiral in place. The rods connecting the spirals are usually of a larger diameter than the spiral wires, adding durability to the construction. The spirals balance each other allowing the belt to run straight and true. The belt will not creep to either side. 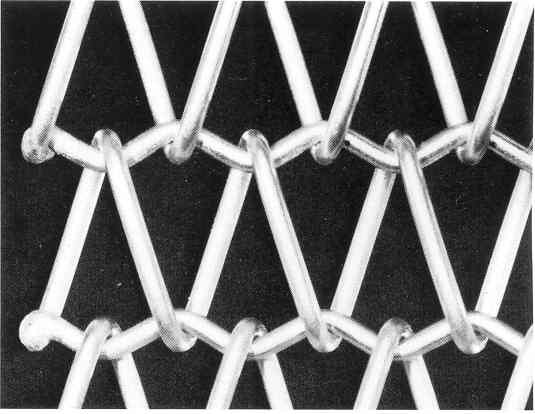 Applications: Balance weave is an economical, general use belt for medium load applications from 40 - 1500 degrees F. It is the most commonly used wire mesh conveyor belt worldwide including many food processing applications (from draining to cooling) as well as industries ranging from ceramic, glass and metalworking. For medium temperature and load conditions, these belts are very economicaland will fit well into most company's budgets.